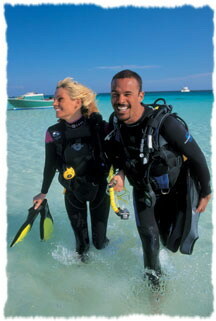 Our mission is to motivate teens and young adults to learn scuba diving as a lifelong activity. Additionally, we will give recognition and support to experienced instructors committed to mentoring new diving leadership. This can only be accomplished by taking lesson-based programs that exceed industry minimal standards. Those individuals not mastering knowledge, skills and techniques necessary for UDT certification may become qualified as a Guided Diver. 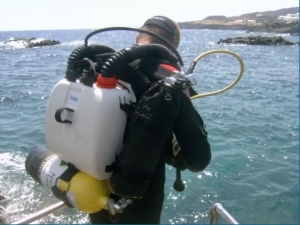 "Looking Back to the Future of Diving." 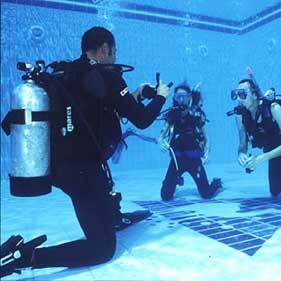 The dive industry has always had a conflict between Recreational and Educational Diver Training. This conflict or battle has been ongoing for years. While recreation is play, education is a learning process to provide one with knowledge, training and experience needed for a specific purpose. UDT educators know how to teach without a script. "Excellence in Education" is our teaching goal. The true challenge of being a teacher is to motivate the student to overcome adversity, develop self confidence and a positive attitude while mastering knowledge, skills and techniques required for all levels of diving, supervision and teaching. A commitment to the ownership of the life support equipment necessary for exploring an alien environment is serious business. Just as important is being properly prepared and trained to function in this weightless medium. The underwater environment has no sympathy for those unprepared and little respect for certificates. Our leadership programs can be mentored, trained, crossed over or tested. These programs are for all levels of leadership and other agency certifications. All candidates will be tested on their swimming, skin diving and scuba skills as well as knowledge and teaching ability both in and out of the water. Instructor development begins with mentoring Rescue certified divers interested in becoming a leader as well as helping others learn to dive. Becoming an instructor is a journey worth taking. Our instructors can organize, initiate, educate and motivate their students without the use of a script. They know how to teach and meet the needs of their students without compromising our high educational standards. Sharing the adventure of diving is a wonderful accomplishment for diving leaders.